These final three words said by Jesus as he hung on the cross are so prophetic. Forgiving is a most important human trait. Forgiveness is never easy, whether it be in Northern Ireland, the Balkans, Sudan, Bali, East Timor, Rwanda or the Middle East. Closer to home, forgiveness might be needed to mend a broken heart, rebuild a broken relationship, or repair the damage from an act of selfishness. This week at Carey we held important Easter services. Easter is a time to forgive. It is also a time to rest and spend time with family. Like our family, you will probably share hot cross buns together. You will also probably have the annual chocolate egg hunt which is enjoyed by the adults as much as the children. In the following days you too might find traces of chocolate on the couch and wonder why the kids have lost their appetite. In the following weeks bits of chocolate-coated silver paper will be found stuck to your children (or partner’s) waste paper basket, sliding along the bottom of the washing machine or firmly papier-mâchéd into the top pocket. The dog might even surprise you with the regurgitation of a silvery chocolate amalgam onto the new carpet, which was the egg you and your children did not find in the garden. Just remember, forgiveness starts at home! Please take time to remember the central message of the Easter story. It is of a man’s humble and selfless sacrifice in the face of treachery and greed. Its message today is as profound as it was, in a very different world, some 2000 years ago. But today too many people have forgotten the simple human values of forgiveness, charity and compassion, while concentrating on profit and accumulation of wealth, possessions and property. Despite the gloom in a confusing, competitive and rapidly changing world, there is hope. Jesus’s death is a statement of love. Jesus’s resurrection three days later shows that we can experience the new life he promised. Whatever your religious commitment, I hope you will reflect upon the optimism and reassurance that comes through the promise of new life. This underpins the Christian Easter story and is an important focus in the commitment made by Carey as a Baptist school. Many thanks to the students, staff, parents and volunteers who have contributed so positively to a busy and productive term. I hope all members of the Carey community have a happy and restful holiday and that Holy Week is a special time for prayer, rest and reflection. The third week of this student break provides the opportunity to bring all Carey staff together for a three-day internal conference. 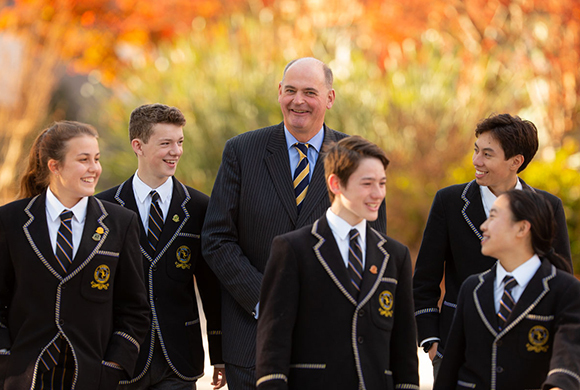 The purpose of the conference will be to enhance the understanding of all teaching and professional support staff of Carey’s nine Attributes of a Positive Learner, specifically looking at Relationships, Thinking and Self-Management and the role all staff play in developing these Attributes in students from ELC through to Year 12. We look forward to welcoming all students back to school on Monday 29 April.